Description : Cork’d is a free service for wine aficionados. You can use Cork’d to catalog, rate and review wines you’ve tasted. 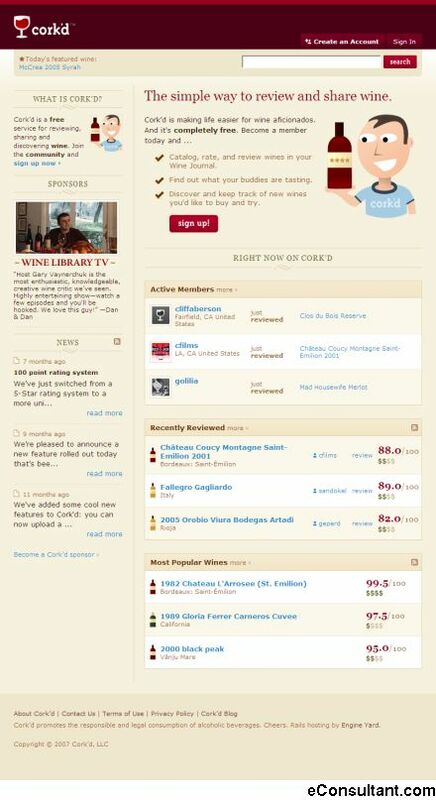 You can also keep track of wines you’d like to try and buy as well as subscribe to what your buddies have reviewed. It’s a new way to discover and share wine.